The safety and enjoyment of Okaloosa County’s public beaches are affected by changes in tide and surf conditions. 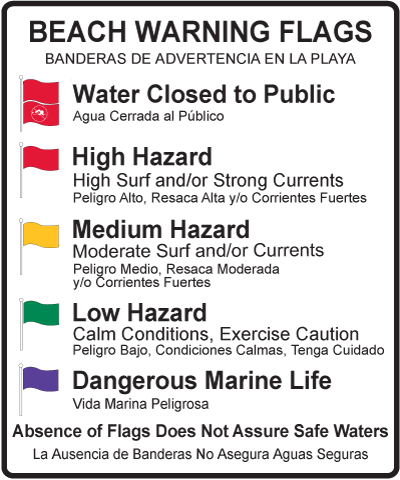 Okaloosa County’s beach warning flag program uses flags in four colors accompanied by interpretive signs along the beach to explain the meaning of each color. The Beach Warning Flags provide general warnings about overall surf conditions and do not specifically advise the public of the presence of rip currents. However increasing awareness of natural conditions which pose a significant risk at the beach, such as rip currents, is a critical element to improve public safety. 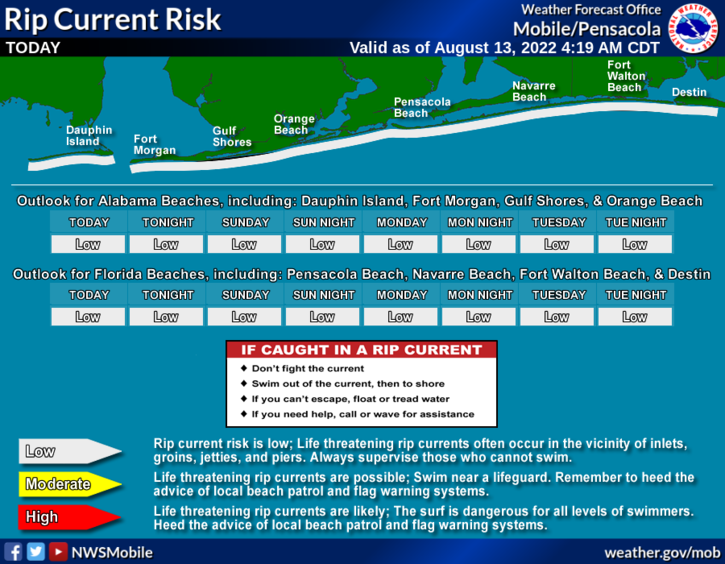 Therefore in addition to the Beach Warning Flags, the Okaloosa County Beach Safety Lifeguards provide Prevention and Educational Informational sessions on the beach to advise how to recognize rip currents and other natural risk conditions. If you become caught in a rip current, yell for help and remain calm. Do not exhaust yourself and stay afloat while waiting for help. 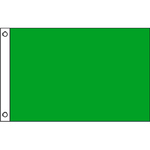 If you have to swim out of a rip current, swim parallel to shore and back toward the beach when possible. 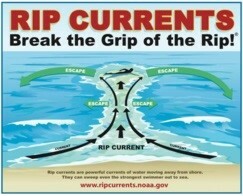 Do not attempt to swim directly against a rip current as you will tire quickly. View rip current safety videos at the National Weather Service YouTube channel. 2 or less Low Low danger from the sun’s UV rays for the average person. Wear sunglasses on bright days. If you burn easily, cover up and use sunscreen. 3 – 5 Moderate Moderate risk of harm from unprotected sun exposure. Take precautions, such as covering up, if you will be outside. Stay in shade near midday when the sun is strongest. 6 – 7 High High risk of harm from unprotected sun exposure. Protection against sunburn is needed. Reduce time in the sun between 10 a.m. and 4 p.m. Cover up, wear a hat and sunglasses, and use sunscreen. 8 – 10 Very High Very high risk of harm from unprotected sun exposure. Take extra precautions. Unprotected skin will be damaged and can burn quickly. Minimize sun exposure between 10 a.m. and 4 p.m. Otherwise, seek shade, cover up, wear a hat and sunglasses, and use sunscreen. 11+ Extreme Extreme risk of harm from unprotected sun exposure. Take all precautions. Unprotected skin can burn in minutes. Beachgoers should know that white sand and other bright surfaces reflect UV and will increase UV exposure. Try to avoid sun exposure between 10 a.m. and 4 p.m. Seek shade, cover up, wear a hat and sunglasses, and use sunscreen.